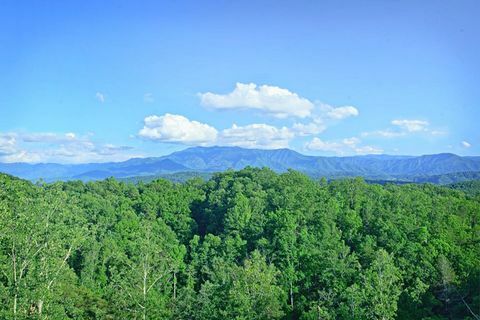 Welcome to "Adventure Lodge," your premium cabin in Pigeon Forge with spectacular Smoky Mountain views! 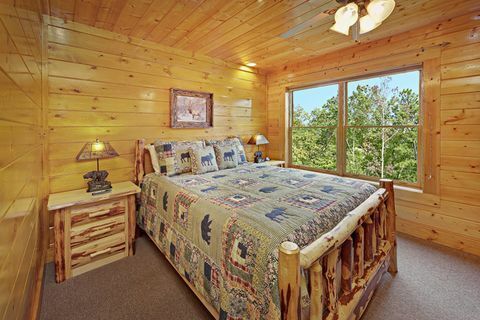 "Adventure Lodge" provides an affordable premium Pigeon Forge cabin with mountain view. 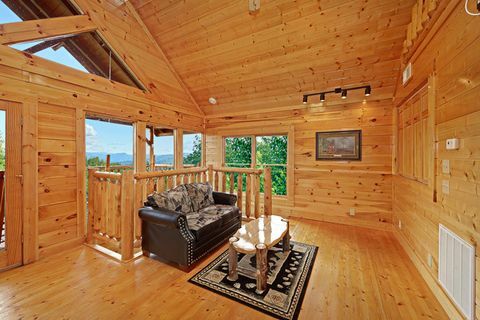 Enjoy luxury accommodations such as massive windows that bring in lots of light and showcase vast scenic mountain views. 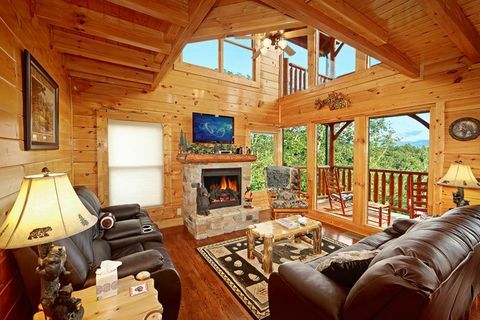 The living room's reclining leather furnishings surround a stacked stone gas log fireplace for cozy fall nights. 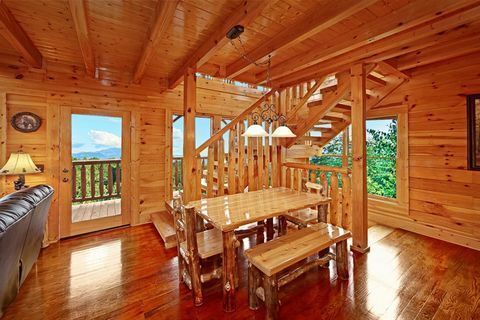 The dining area's custom log set rests near the galley-style, fully equipped kitchen for quality meals spent together. 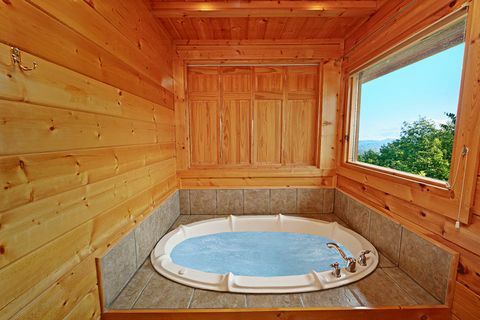 Keep up with friends and family back home with this premium cabin's Wifi Internet access. 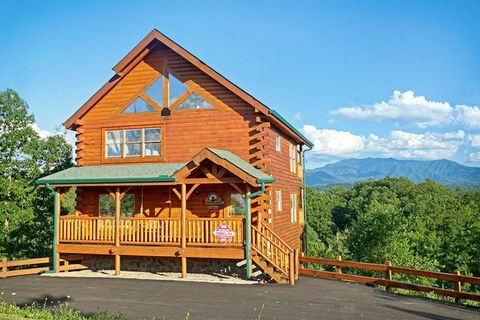 This premium cabin in Pigeon Forge offers an upstairs master suite complete with king size bed, an oversized bathroom with jacuzzi tub, a private deck overlooking the Smokies, extra sitting area, flat screen television and a foosball table. 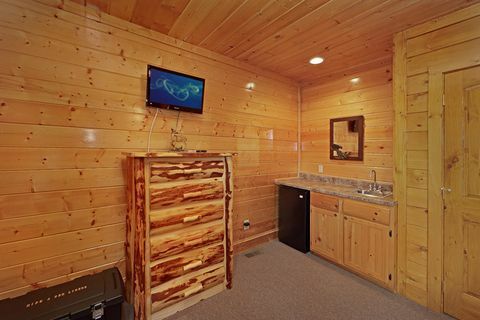 On the main level, relax in the king bedroom with flat screen television and private bath. 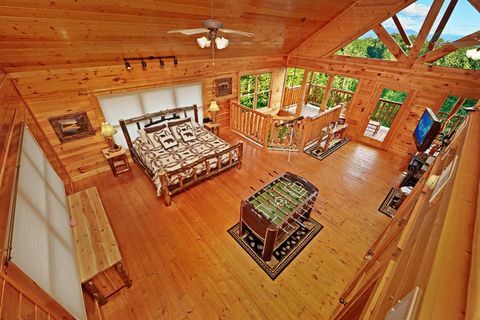 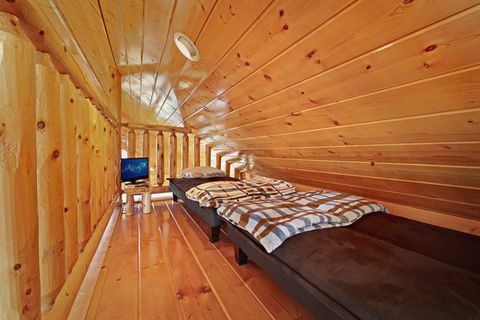 Kids will love the treehouse-like loft with 2 twin beds and a flat screen television. 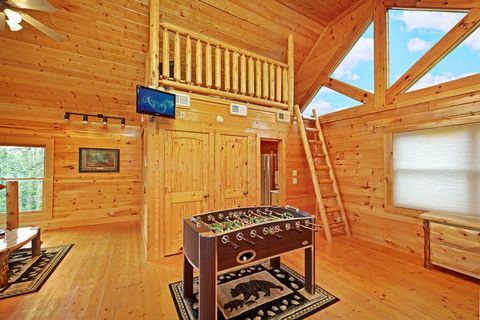 A quick climb up the log ladder leading up to this half loft above the master suite gives kids a space designed with them in mind. 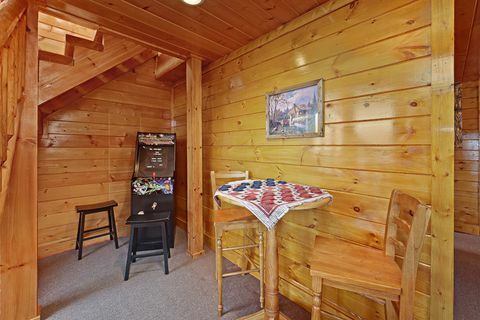 The lower level of your premium cabin in Pigeon Forge offers an additional living area with sleeper sofa, pool table, stand up arcade game and game table with stools. 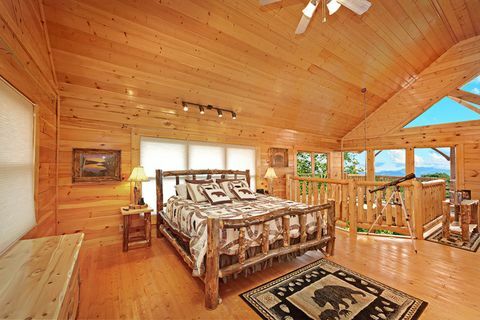 The third bedroom is on this level as well and comes complete with a wet bar. Outdoors, each of your log cabin's 3 decks boasts spectacular mountain views! 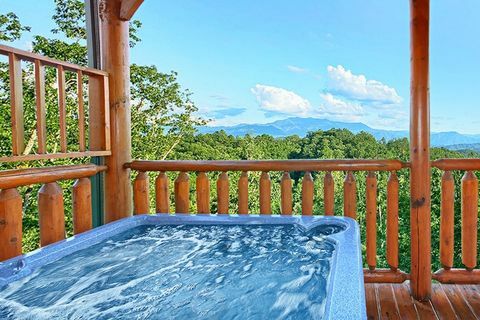 Enjoy the evenings at your premium cabin in Pigeon Forge soaking in your hot tub while looking out to relaxing, beautiful sunset views over the Smoky Mountains or cookout on the outdoor grill. 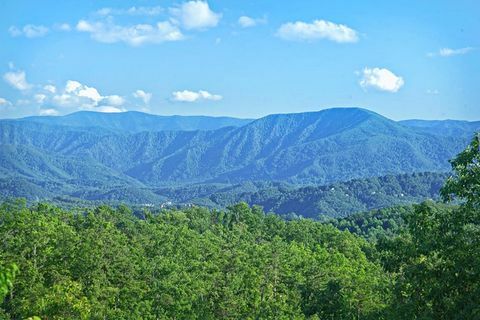 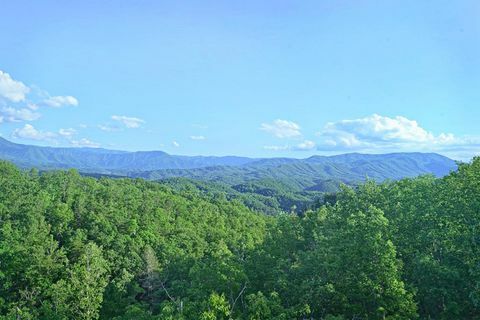 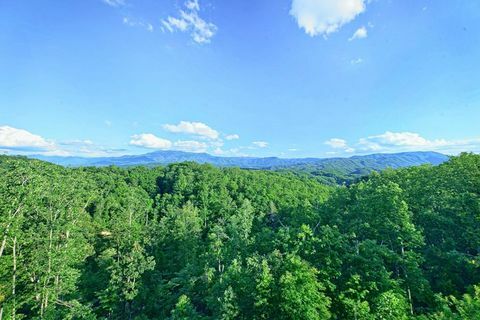 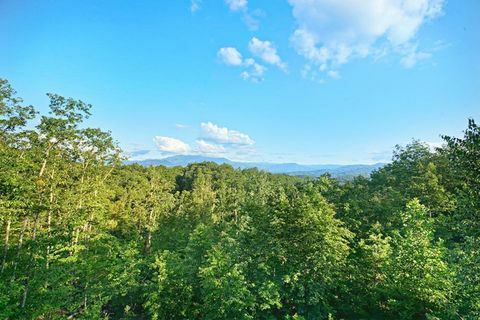 Located only 10 minutes from Dollywood and Splash Country, you can enjoy the beauty and tranquility of the Smoky Mountains while being just minutes from Pigeon Forge attractions. 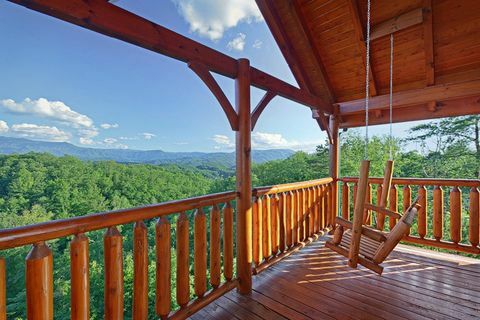 Searching for Gatlinburg cabin rentals? 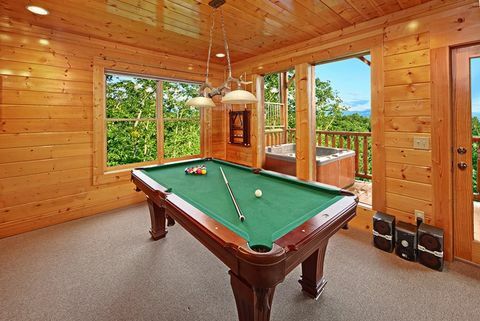 Bring your family to the Smokies is style and start your Smoky Mountains family memories of a lifetime at "Adventure Lodge!"